Our qualified therapist is Naomi Hill. She is a qualified Advanced Clinical Hypnotherapist, to HPD and DipCAH level, and is also a trained practitioner in NLP, which is used routinely with clients as an effective means of bringing about positive change. Naomi is one of only a very small number of BWRT practitioners in Scotland, a new and ground breaking method used in facilitating change. As a fully qualified and experienced KG Hypnobirthing Teacher, Naomi currently facilitates one to one and group classes across Scotland. Importantly, Naomi is also experienced in using EMDR techniques as a tool in helping clients to process trauma. Used primarily by psychotherapists and psychologists, EMDR is one of only a couple of methods for treating trauma advocated by the World Health Organisation, and Naomi is proud to be able to use this method as one of several tools to facilitate recovery at our clinics. Naomi is a member of the Royal Society of Medicine, who support clinical excellence in the field of hypnotherapy, and she is registered with both the National Council for Hypnotherapy and the Complementary & Natural Healthcare Council (CNHC), who work together to raise and maintain standards of practice in the UK. CNHC's register is approved as an Accredited Register by the Professional Standards Authority for Health and Social Care. This provides additional assurance that CNHC registrants meet the standards of patient safety and service quality. The General Medical Council guidance to doctors confirms that they are able to refer patients to practitioners on Accredited Registers. Also, the Department of Health has recommended that where people are looking for complementary healthcare therapists they use someone who is CNHC registered. We strongly advise that when looking for a therapist, you adhere to this advice and take steps to ensure that you deal with only fully qualified and experienced practitioners. Naomi is the only licensed practitioner of the Hypno-Band system currently registered in South Ayrshire to carry out treatments at this time, and is able to offer a wide range of other therapeutic services, including, but not limited to: sessions targeting anxiety and depression, a 6 week weight management programme, smoking cessation, sports performance enhancement, and treatment for phobias, self esteem/confidence. She uses a combination of NLP, cognitive-behavioural and hypnosis techniques to provide a tailor-made treatment plan to tackle a variety of health issues, and will also provide clients with CDs/mp3's, as part of therapy, to listen to outside of sessions - which enhance and will help to accelerate positive changes. 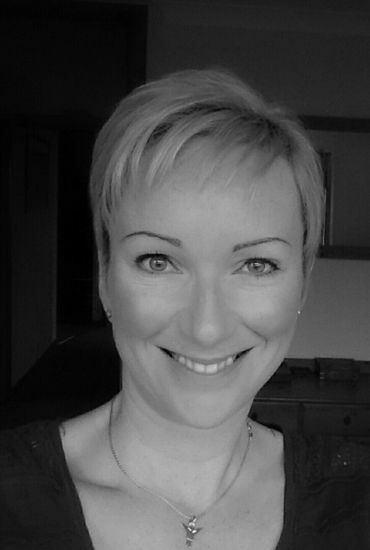 Naomi first began practising many years ago in her clinic in the West Midlands. At that time, she worked alongside several local nursing homes offering palliative treatments to long term sufferers of anxiety and depression. She also worked as a volunteer therapist with her local City Council, offering sessions to bereaved families in the area during their organised events. Naomi has a great passion for helping others and currently runs clinics at our flagship clinic facility in Ayr which accepts clients from across Scotland. As a paediatric specialist, she is able to offer a variety of hypnotherapy techniques not just to adults, but also to children and young people from the age of 5 upwards, to enable her clients to take back control in their lives. Naomi holds a full enhanced disclosure certificate, enabling her to work with vulnerable adults and children. Our clinic also works alongside various schools and academies in the region, as we work to support better mental health in our young people. Naomi is also an Anxiety UK Approved Therapist providing therapeutic support to the charity’s members and partner beneficiaries. She is subject to Anxiety UK’s regular monitoring of her professional qualifications, supervision, continual professional development, insurance and professional body membership in addition to complying with the ethical framework and professional standards set down by her registered governing bodies. Details about becoming a member of Anxiety UK to be able to access therapy via the charity can be found here. Naomi currently sees clients from across the UK and in Europe, Canada, Australia and New Zealand as she is able to facilitate sessions by Skype If you'd like to explore this possibility, get in touch.